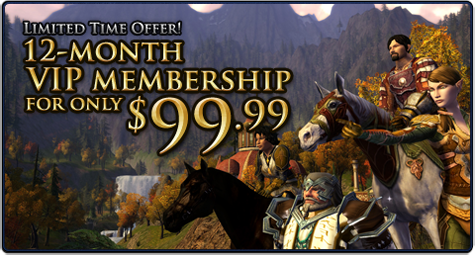 Many MMORPGs are now offering players a VIP option. Which basically gives players certain privileges such as higher exp rates, better drop rates, more features etc. Certain MMORPGs offer players a subscription type VIP, while others ask a player to make a one time purchase and they will have VIP forever. It is similar to subscriptions, although not having VIP doesn't usually exclude a player from any content, usually it's just a way for players to progress faster and gain more rewards as well as have certain advantages over non-VIP players. Cash shops usually offer a lot of the things VIP packages do, such as higher exp rates or better drop rates. Although cash shops are more flexible, in a you can purchase specific benefits. Another difference is that you can purchase items from the cash shop whenever you want and don't have to use them straight away, you can choose to use multiple buffs from the cash shop at once or one at a time. Cash shops are far more common amongst MMORPGs, although lately there has been an increase in VIP features so it may become a standard option for most upcoming MMORPGs. Although I doubt that cash shops will be going anywhere any time soon, as nearly every MMORPG has one and there doesn't seem to be a decrease in MMORPGs with cash shops.